The American College of Financial Services (ACFS) has released a survey of older Americans that it says raises troubling questions about retirement in America. The organization says when it quizzed a large group of retirement-age Americans on retirement issues, three out of four did not pass. Broken down, those between the ages of 60 and 75 with at least $100,000 in assets lacked knowledge about how to pay for long-term care, maximizing investments, and strategies for sustaining income throughout retirement and life expectancy. Graded on an A to F scale, 74% of older consumers got an F on the quiz. Fewer than 1% got an A, which required a score of 91% to 100%. Only 5% got a B score and 8% scored a C, while 13% got a D.
"Over the next 12 years, an estimated 10,000 Baby Boomers will reach the age 65 every day," said David Littell, Retirement Income Program Co-Director at ACFS. "More and more Americans are retiring but so few understand basic facts and strategies when it comes to ensuring that their retirement is a comfortable one." Littell says he's alarmed by the survey because it's clear that most older Americans are not prepared for the decades they'll spend in retirement when they are not earning a steady stream of income. Granted, the questions on the quiz were not all that simple. For example, which is better -- to work an extra two years and defer Social Security an extra two years, or increase retirement contributions by 3% for the five years prior to retirement? The answer is working longer, and 33% of those taking the quiz got it right, 67% got it wrong. 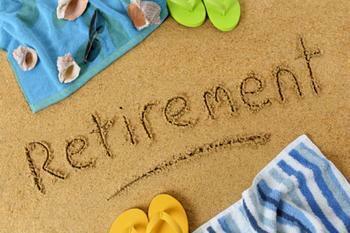 Here's another question: what is the amount you can "safely" withdraw from your retirement savings each year? The answer is 4%, with only 38% knowing the answer. ACFS says there are major gaps in knowledge when it comes to long-term care expenses. Only 30% knew that its mostly family members who pay the cost of nursing and assisted living expenses. The government only pays if the person is on Medicaid. Littell says the take-away from the survey is that there is a premium on retirement literacy. He says retirees and pre-retirees need to ack now to gain the knowledge they need to make smart decisions in retirement. To get started, you might check out these six books recommended by AARP. You might also want to read our reviews of investment advisors.